Pat Samba grew up playing in Europe and signed his first professional contract with Dutch giants Feyenoord. He then moved to Finland playing with VPS Vaasa in the Veikkausliiga. At his next club Kozzakken Boys, Samba was able to work with the Youth Academy bringing through the next generation of talent at the club. Patrick went on to feature for TP 47 Torino in Finland, Habay in Belgium and Etar Veliko in Bulgaria before settling in England after his second spell with Conference side Stafford Rangers. Patrick has since worked as a player coach and runs his own personal training and fitness business. 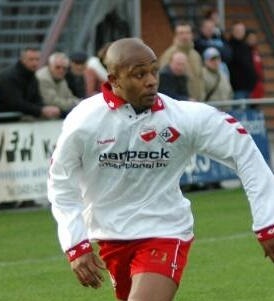 Samba regularly works one to one with professional players from Mansfield Town, Notts County and Nottingham Forest.